I'm having a hard time understanding the difference between the PID block and the "manual" PID. For better understanding see the enclosed image. The gains are the same for both systems (same transfer function) but for some reason the result is not the same. What could be wrong? 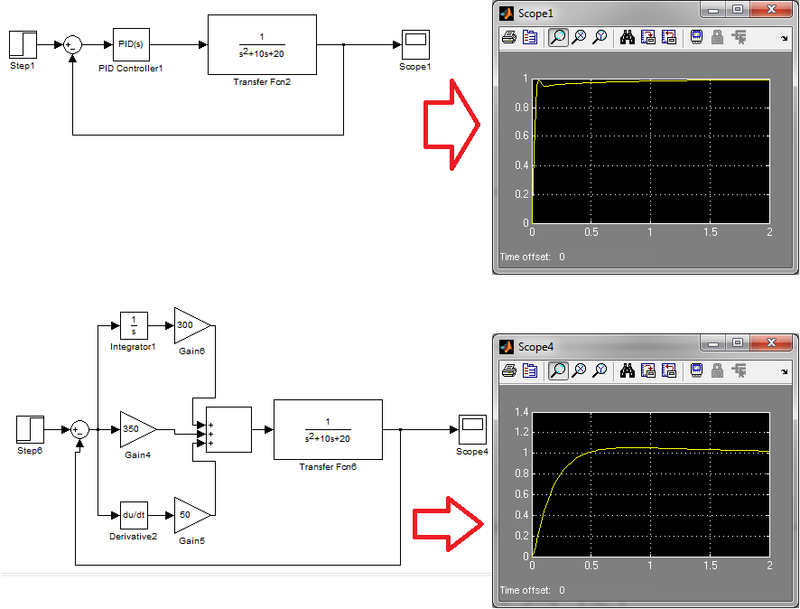 Look Under the mask for the PID block in Matlab! First of all, the gains are not the same. 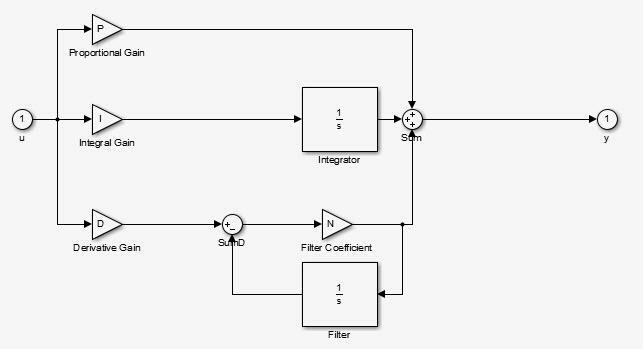 The transfer function of you PID Controller you implemented with a derivative block is P+I/s+D*s.
So some difference is to be expected due to the fact that transfer functions are different. But again, the main point is not to use the pure derivative in your simulation. If you want to approach the pure derivative as high as possible, set N high, say at 1,000 or 10,000. You're absolutely right. Thank you. By the way, what is your area of expertise? "Coefficient c in the transfer function approximation s/(c*s + 1) used for linearization — Specify the time constant c to approximate the linearization of your system"
But then shouldn't it give the same response with the pid block, when c is set to 0.01 i.e. for N=100 ?